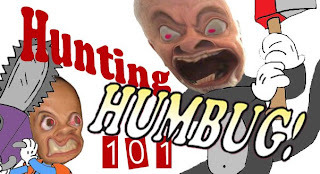 Here's the link to direct download: (15 mins & 7 mb) and you subscribe here: http://huntinghumbug101.podbean.com/feed/or by clicking one of the buttons below. A podcast in response to a question on one of the examples we used for a false dichotomy - in Podcast 6. As an American, I got a dose of culture shock at about 2 minutes in, when reading from your book. You give an example of someone saying that the government has no business censoring anything, and that any censorship is oppressive. You seem to claim that the argument should be about how much censorship to have, not whether to scrap it entirely. As someone who basically agrees with your \”Margo Blarneypickle\”, I take issue with this. More censorship is more oppressive, but any amount of censorship is, indeed, oppressive. This is not an unusual view around here: heck, it\’s written into the US constitution that the government isn\’t allowed to censor anything. You then go on to suggest that \”Margo\” be ridiculed with straw men. \”Are you in favor of live broadcasts of executions?\” Well, I\’m not in favor of executions. But if you\’ve got the film, it shouldn\’t be illegal to show it. I mean, are you going to outlaw everything that\’s in bad taste? \”Do you favor the removal of doors from public toilets?\” WTF? Of course not. That\’s a false analogy. Censorship isn\’t allowing toilets to have doors, it\’s legally requiring every toilet to have a door. If I want to build a doorless toilet, it shouldn\’t be illegal. I probably shouldn\’t expect many people to buy one, or to use one, but censorship is making it /illegal/ to have or use one. When the worst that could happen is that someone is discomfited or offended, there is no reason to hand a potentially abusable power to a government that can\’t (http://journal.neilgaiman.com/2008/12/why-defend-freedom-of-icky-speech.html) and won\’t (http://www.theage.com.au/news/home/technology/police-defend-baby-swinging-video-charge/2008/12/11/1228584982919.html) confine itself to banning just the bad stuff. P.S. The email in your profile doesn\’t seem to work. P.P.S. I have been enjoying your podcast, excepting this one bit which pushed a button for me. Keep up the good work.